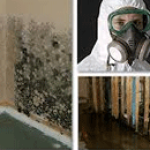 This 4-hour Mold Refresher - NY course satisfies New York state requirements for mold license holders approaching expiration. This course will review mold safety and work practices as they relate to EPA, OSHA, IICRC and other governing bodies. 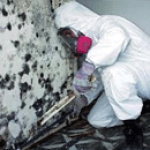 This course satisfies requirements for all mold license types including: Assessor, Remediation Contractor, Abatement Worker Supervisor and Abatement Worker. Who Should Take this Mold Refresher - NY Course? Below are the most recent student reviews for previous Mold Refresher NY Courses. Excellent instructor I’d recommend to others. Excellent instructor I’d recommend to others. The instructor was excellent. He answered all of my questions and presented a great powerpoint that the entire class could... The instructor was excellent. He answered all of my questions and presented a great powerpoint that the entire class could understand. Paul was knowledgeable, professional and explained all the material. Paul was knowledgeable, professional and explained all the material. Watson & Associates is a full service industrial hygiene and safety consulting firm.